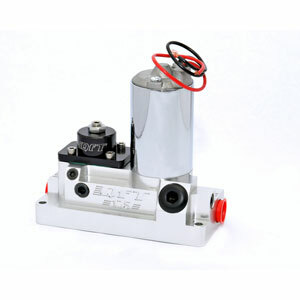 175 GPH Billet Electric Fuel Pump designed for drag racing. Features #8 AN fuel inlet and outlets, built-in fuel pressure gauge port, and internal/external adjustable bypass. Fuel pump can be used either way, simply use the provided plug to switch bypass modes. Mounting bracket, hardware, and detailed instructions are included. *Fuel pressure gauge and fitting are not included.